Canning Chili con Carne - Meat and beans! - Canning Homemade! Home » Beans » Chili con Carne » Meat » Canning Chili con Carne - Meat and beans! Canning Chili con Carne - Meat and beans! This 4th of July is request weekend from my readers at Facebook. I have a list of canning that they would like to see. I don't know how much I will finish but I will give it a try. The first on the list is Chili. Now I have done a Vegetarian Chili before with the canning group but I thought I would go for the meat and do the Chili Con Carne. This recipe comes from the recipe book I got while in the Master Food Preserver program. It is super easy but there are steps that you have to do like; drain the meat once it browns to minimize the amount of fat in the jars, make sure to cook the beans a half hour before adding them to the chili, and be very consistent with your 1" headspace. 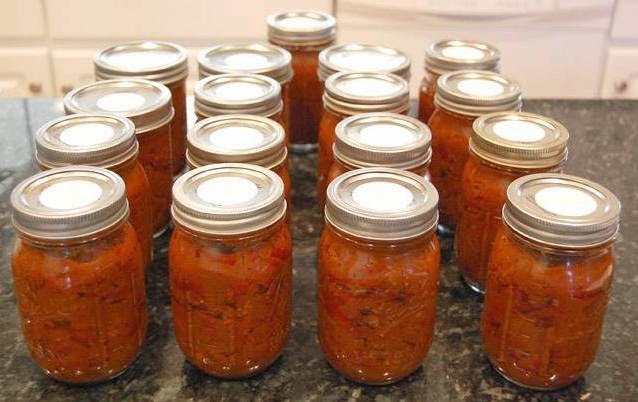 This recipe is for pressure canning only, but I had a great time making it and got 9 pints of fantastic chili for my family. Wash beans thoroughly and put them in a 2 qt. saucepan. Add cold water to a level of 2 to 3 inches above the beans and soak for 12 to 18 hours. Drain and discard water. Combine beans with 5 1/2 cups fresh water and 2 t. kosher salt. Bring to a boil, reduce and cook 30 minutes. Meanwhile, brown ground beef, onions, and peppers, in a skillet. Drain off fat by spooning into a colander in the sink. Shake out the excess fat. Pour into large pot and add 3t. salt, pepper, chili powder, tomatoes. Drain beans after 30 minutes and add to meat. Simmer chili for 5 minutes. Using sterilized jars fill leaving 1" headspace. Remove air bubbles and adjust headspace if needed. Wipe rims of jars with dampened clean paper towel that has white vinegar on it. It will help remove any fat that may have been dripped. Adjust lids and process in pressure canner. ***This recipe does 9 pints so if you have pressure canner you will need to use a canner rack to stack them. 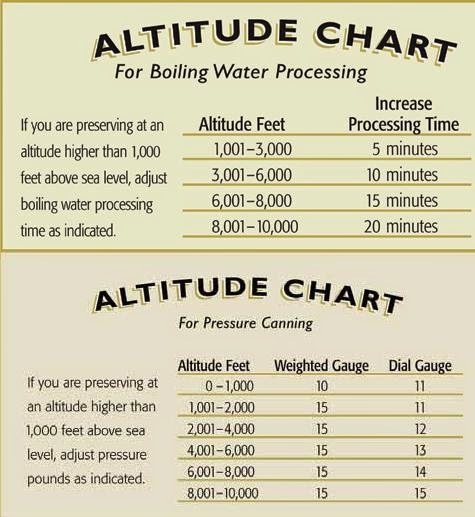 Process pints at 11lbs of pressure for 75 minutes for a dial gauge and 10lbs of pressure for a weighted gauge. You can also make this in quart and pressure can for 90 minutes. See pressure canning tips for additional help! Thanks Deb for the great pic!